The following are suggested for use in your layout. 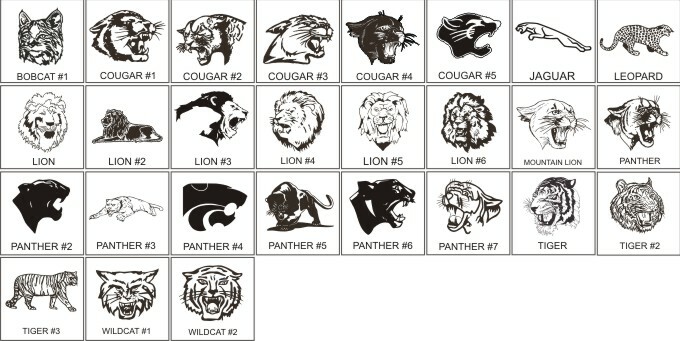 They can be altered in shape, and can be rendered on your flag or banner in one or multiple colors. They can be sized appropriately to fit spatially with letters, border, etc. 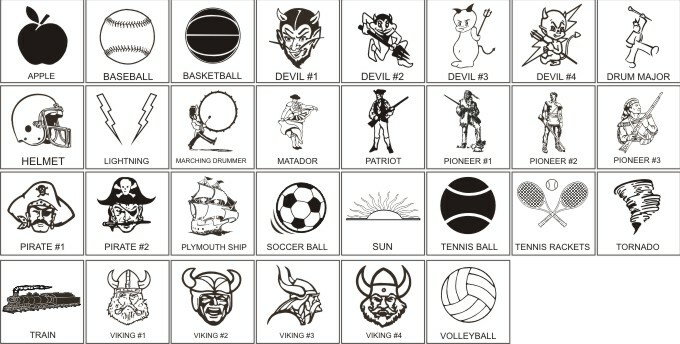 The following logo/mascots are available for placement in specific Customized Products available at our e-Store.